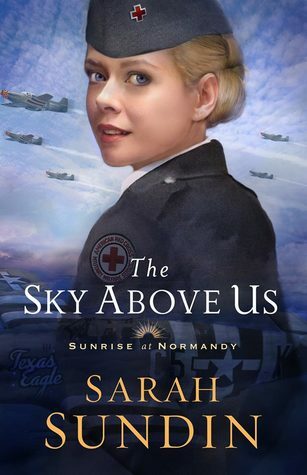 Ah, you just cannot go wrong with a Sarah Sundin novel! She writes some of the best and most satisfying WWII that I have ever read. <3 “The Sky Above Us” was no exception! Beautifully written with fantastic messages and amazing characters, I thoroughly enjoyed this novel. There is so much depth and reality to this story, and the characters are so beautifully flawed that this easily becomes a five star read for me. “The Sky Above Us” provided a true read with real struggles and still left me with such a happy feeling. I loved the characters, as always. They are each so unique and just so…believable. I am continually amazed at each new release of Sarah Sundin’s. And waiting for the third book is going to be so hard! I love the Paxton brothers so much, and the heroines are amazing!! I thought the journey Violet and Adler both were on spiritually was portrayed so well. The faith message was truly marvelous and deeply touching. All in all, a fantastic read and I highly recommend this series! Written for the General Market (G) (I): Contains little or no; sexual dialogue or situations, violence, or strong language. May also contain content of an inspirational nature. What a delightful and exciting tale this book turned out to be! Not once was there a dull moment, and the characters shined throughout it all. Danger abounded, as it most often does in the case of WWII novels – especially when behind enemy lines – and the plotline was definitely a captivating one! I fell for each of the characters, and they made such an excellent fit. So sweet and endearing! And it ended so well too! I was getting a wee bit nervous there for just a second, but oh! It was reminiscent of one of the Anne of Green Gables movies, and just smashing. 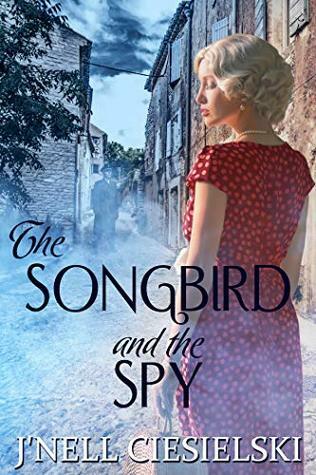 As I mentioned, “The Songbird and the Spy” is an exciting novel. There is so much intrigue and thwarted plans happening that the reader is guaranteed a rather thrilling ride. The writing itself was great – everything read so smoothly and tied together. As it is War, there was *some* graphic scenes but nothing that I found shocking at all. In fact, there was one particular instance where, while it was horrible, I was glad it happened because it was realistic. But I won’t give anything away. Author Liz Tolsma has written another heartfelt WWII novel, and what a story it is! I have read a lot of WWII fiction, but hers seem to be a style all of their own. There is so much rawness, and reality in this novel that it pulls on your heartstrings for sure. The characters are life-like, and their struggles true to life as well. The atrocities that happened to the Polish and Jewish people is horrendous, and hard to read about. And on the same hand, the daringness and bravery others showed to help them is so admirable. This story is primarily Natia’s story. Her husband’s as well. Another character we get to know is the German woman, Elfriede who keeps Natia in her employ. They form a friendship, and both share a deep love for the child Natia found. I really liked Elfriede – her story was sad, though in different ways from Natia’s. She was naive’, and rather innocent almost like a child herself. She came into her own strength though that was impressive, and her decision at the end was painful and heroic. I know she was the side character, but I really enjoyed her, and I think maybe bonded more with her than the main characters. But I did like the main characters, and felt connected to their plight as well. There was on incident at the end though, regarding Natia’s attitude that I didn’t care for. It felt selfish and flippant in light of the situation. The faith strand was present, though maybe a bit lightly so. I did like what was there though – it felt realistic, and the message was good. All in all, a very well written book that deals delicately with the tough reality that was the war! Passionate might best describe Liz Tolsma. She loves writing, research, and editing. Her passion shone through in her first novel which was a double award finalist. On any given day, you might find her pulling weeds in her perennial garden, walking her hyperactive dog, or curled up with a good book. Nothing means more to her than her family. She’s married her high-school sweetheart twenty-eight years ago. Get her talking about international adoption, and you might never get her to stop. She and her husband adopted three children, including a son who is a U.S. Marine, and two daughters. The plot for this one was so well done, so well executed, and just perfect. I loved every piece of it. It held the right amount of intrigue, and mystery, while still not being too overwhelming. The only thing that frustrated me was a reaction of Evelina’s towards the end – understandable, but still I wanted her to do the opposite of what she did! XD Ah if we could only advise characters, right? The setting was very good, and interwoven into the story so well that it was just part of it. I really enjoyed the clock making aspect of the book, and how the characters would relate it to God. Barclay’s faith was so real and very nicely portrayed, and encouraging. It wasn’t “perfect” because our faith does sometimes falter and we do sometimes question, but it is still strong. And the relationships between Barclay’s makeshift family was darling to see. I know I keep coming back to the characters but to me, a book is only as good as its characters and these really were so marvelous!! I loved them all so very, very much. 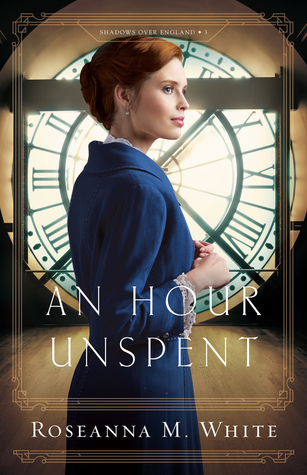 “An Hour Unspent” Release Day and Giveaway! Happy Release day to “An Hour Unspent”! I am currently reading this beauty and thoroughly enjoying it!! I hope you will enjoy this post from the author as well as the giveaway! When the design for A Name Unknown, book 1 in the Shadows Over England Series, was shown to me and I saw the spine for the first time, I was so excited to see the series logo they’d come up with. Big Ben’s clock tower. Big Ben says London. Which is what the designers were no doubt trying to invoke, as my family of thieves are firmly Londoners. But for me, it was more than that. Because in the third book of the series, An Hour Unspent, that iconic clock actually plays a role in the story. The clock tower was designed by Augustus Pugin and completed in 1859. Pugin was an architect, one who is most remembered for redesigning the interior of Westminster Palace and the tower in question, which has become one of the most iconic symbols of England. Though he also designed the face of the clock, the mechanics of the thing he wisely handed over to someone else. But interestingly, the movement–the gears and weights that make a clock work, and in this case, work with amazing reliability–was actually designed by two amateurs to the field. Edmund Denison, a lawyer, and mathematician George Airy. The construction was the only part undertaken by an actual clockmaker, Edward Dent. The Great Clock’s inner workings are so precise that a penny sitting on the pendulum is all it takes to make slight alterations to the time. That one little coin will make an adjustment of nearly half a second a day. That doesn’t sound like much, but it allows for small incremental adjustments to keep the clock accurate year after year. The pendulum still has a stack of old coins on it, and the clock is still hand-wound three times a week. In my story, I gave the job of upkeep of the Great Clock to my heroine’s father, a clock maker. This part is purely fictional, of course, but it would have been considered a great honor to be tasked with such a responsibility, and in my story that’s the proof of Cecil Manning’s proficiency in his trade, even though he’s by no means made himself rich. Do Their Dreams Still Matter? Roseanna has several giveaways and a special CONTEST for her readers! Click on the images below to learn more about each Giveaway. Or visit Roseanna’s blog. With nowhere to go, Claire throws herself on the mercy of an estranged aunt, begging Lady Miranda Langford to take the children into her magnificent estate. Heavily weighted with grief of her own, Miranda reluctantly agrees . . . if Claire will stay to help. Though desperate to return to France and the man she loves, Claire has few options. But her tumultuous upbringing―spent in the refuge of novels with fictional friends―has ill-prepared her for the daily dramas of raising children, or for the way David Campbell, a fellow American boarder, challenges her notions of love. Nor could she foresee how the tentacles of war will invade their quiet haven, threatening all who have come to call Bluebell Wood home and risking the only family she’s ever known. This was an interesting book. There were parts that I liked, and parts that I didn’t care so much for. I couldn’t connect with main character Claire Stewart for most of the book. I disliked her quite a bit for the first half. Her selfishness was just blinding, and not an attractive trait. I found that very aggravating. Once we got to know her background a little bit more towards the second half of the book, it was easier to understand her a little, but I still didn’t really connect with her. But it was a helpful reminder to be patient with kiddos and treat them with love. “Be patient with all men”, as the Bible says. I liked her aunt, Miranda. Though sometimes she showed a touch of self-centeredness too. Not a whole lot, it was just sometimes alluded to in her younger days. I did feel for Miranda in her own struggles, and was glad to see her motherly attitude towards the children. Claire’s inward-focus wasn’t really resolved at the end. It was just shown as how she was, end of story, which was kind of disappointing. I did appreciate her journey to accepting God’s love for her, though. It is easy to know that God loves this person or that person, but sometimes it’s harder to believe it for oneself. So that aspect was good. The ‘hero’ of this book, David, was a strong character and very beneficial for the children especially, but he wasn’t in the majority of the book. 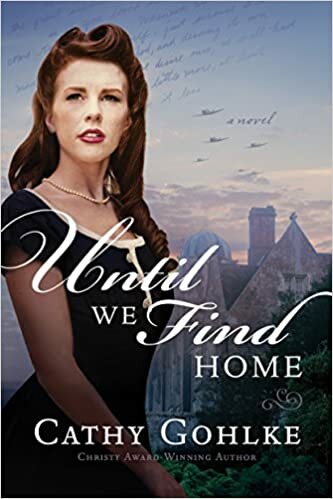 “Until We Find Home” is told through various points-of-view, including Claire, Miranda, their housekeeper Mrs. Newsome, Little Aimee, Gaston, and Josef, so it wasn’t just focused on one or two characters, but it worked pretty well for this story. The refugee children were all just darling. I loved Gaston particularly, and little Aimee was such a doll. And I really liked how they helped the children continue to celebrate their Jewish roots, knowing it was important to them. David was the instigator for that. He really was the children’s advocate, gentle and strong as he was. There were several plotlines that, to me, have been overdone and I didn’t find it very believable in all points. I skimmed some of it just because it was overly predictable. The little glimpses we got to see into Beatrix Potter’s and C.S.Lewis’s lives were very interesting, though not at strong as I was originally expecting. Still, it was good. Because of disliking Claire, and not caring for some of the plotline, I didn’t love this book, but that doesn’t mean that you won’t. *I received a complimentary copy of this book from the author/publisher. All opinions expressed are mine alone. I tried really hard to find a picture to represent Wyatt, but I couldn’t! I know, sad. But his picture is in my mind and I can’t find much that comes close. However, you can visit Sarah Sundin’s Pinterest Page to see a photo she found that does definitely very closely resemble Wyatt! See here. Wyatt is one of those ‘strong and silent’ types. He’s not boisterous, but he is very kind-hearted. He’s harsh on himself as he yearns for forgiveness that he has to learn to give himself too. I definitely relate to him in wanting to be perfect and getting frustrated with ourself when we can’t achieve that. But I loved his journey of truth, learning to truly accept the Lord’s mercy and forgiveness that makes us whole. Wyatt is eager to help, eager to serve – as I said, he has got a very good heart. And a strong moral compass. He strives to always do what is right, no matter what. In short, I just love him so much :D Do not miss out on meeting him for yourself!! In 1944, American naval officer Lt. Wyatt Paxton arrives in London to prepare for the Allied invasion of France, determined to redeem himself with the brothers he has betrayed. Dorothy Fairfax serves as a “Wren” in the Women’s Royal Naval Service, piecing together reconnaissance photographs with thousands of holiday snapshots of France—including those of her family’s summer home—in order to create maps of Normandy. Maps that Wyatt turns into naval bombardment plans for D-day. As Wyatt and Dorothy work together, he hopes Dorothy will return his growing love. But will family secrets, misplaced affections—and the seas off Normandy—separate them forever? Sarah Sundin is the award-winning author of ten novels, including The Sea Before Us. Her novels When Tides Turn and Through Waters Deep were named to Booklist’s “101 Best Romance Novels of the Last 10 Years.” A mother of three, Sarah lives in California, works on-call as a hospital pharmacist, and teaches Sunday school. Please visit her at www.sarahsundin.com.